Produced from 700g selected fruits. 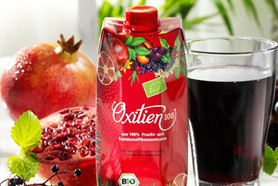 Oxitien 10-fruits-Elixier is ideal for the daily needed fruits. It only needs 5 tablespoons per day. Our new natural food supplement powder with key vitamins and minerals and with only one bag per day. It covers 12 vitamins and minerals from 100% of the daily recommended daily allowance. Support your immune system in a natural and delicious way. Our grandmothers knew about the preventive effect of the elder. OXITIEN: The Anti-Aging Drink ! With its combination of pomegranate, elder, black carrot and red grape Oxitien 100 strengthens the body with: Antioxidants, flavonoids, vitamin C, beta-carotene, vitamin C and A, potassium and iron! For thousands of years the pomegrante has been said to have special abilities to affect health in a positive way. The organic pomegranate juice is rich in natural antioxidants. Antioxidants act as radical scavengers. Absolutely new and produced with many components of the pomegranate. The pomegranate bears are made of 12,5% organic pomegranate juice. Für die Gesichtscreme haben wir unter anderem Granatapfelsamenöl verwendet und natürlich unseren Pomegranate Organic Juice der reich an natürlichen Antioxidantien ist. Benefit from the pomegranate already in the morning. The tasty pomegranate fruit spread is made of 60% organic pomegranate juice. Made of fully ripe pomegranates, softly pressed. Those give the unique liqueuer its fresh and fruity flavor. From our organic pomegranate juice, to pomegranate face cream and our world-exclusive Oxitien 100 anti-aging drink. Find out all about our products! For thousands of years the pomegranate has been said to have special abilities to affect health in a positive way. 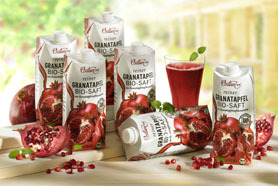 The organic pomegranate juice is especially rich in natural antioxidants. 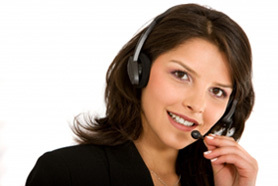 You are interested in our products or you want to become a reseller?